For years, The Pet Collective have made videos espousing their controversial, extremist view that it’s pretty cute when you make puppies and kitties re-enact scenes from TV and movies. We've covered their nefarious exploits before, spoofing music videos and holiday movies with the help of innocent dogs and cats. And now, these heartless monsters have branched into the realm of Netflix original programming with “Tabby Is The New Cat,” their kitten parody of Orange Is The New Black. Like with many of the Pet Collective’s videos, the joke-writing is pretty surface level, with most of the appeal provided by the feline performers. 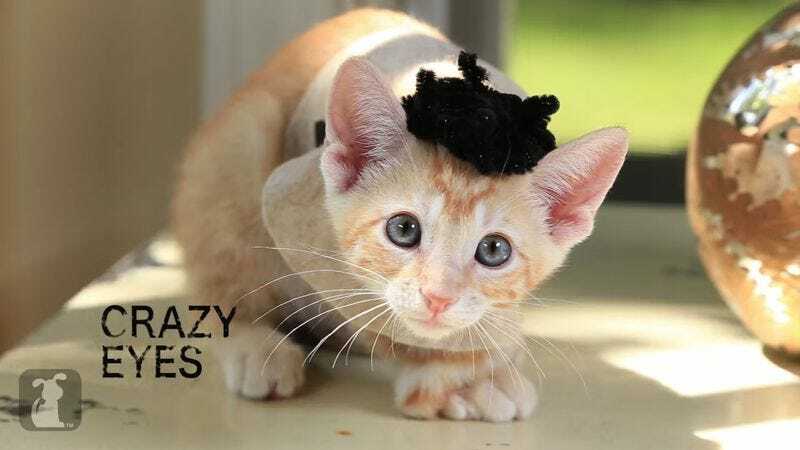 On the other hand, scared-kitten Crazy Eyes is maybe the cutest thing ever, so really, what are we complaining about? Also, you do have to give them credit, given the source material, for going light on jokes about pussies.